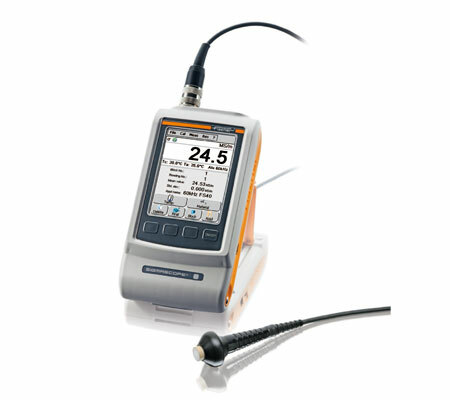 Feritscope FMP30 is extensively used in different industries to measure ferrite content in steel. It helps in maintaining the grades steel as excess or deficit of ferrite can lead the adverse impact on the quality of steel. If the ferrite content in steel is too high, the ductility and toughness as well as corrosion resistance of the steel is undermined and if it lacks then it will result in hot-cracking of weldment. Thus the test of ferrite content is necessary because the structures made of steel are generally exposed to aggressive media, high pressure and heat in process engineering, power and chemical plants. Fast and non-destructive determination of the ferrite content in austenitic and duplex steel with an acquisition of all magnetizable portions of a structure, i.e., in addition to delta ferrite also stress-induced marten site or other ferrite phases. Our sealing quality test – anotest is weather resistant and designed in compliance with the DIN EN ISO 12373-5 and ASTM B 457-67 standards. 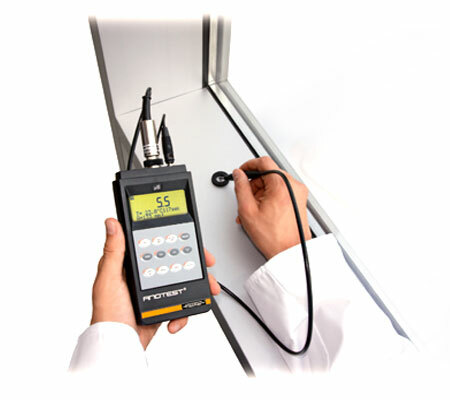 It is basically a sealing quality tester of anodic coatings on aluminum. 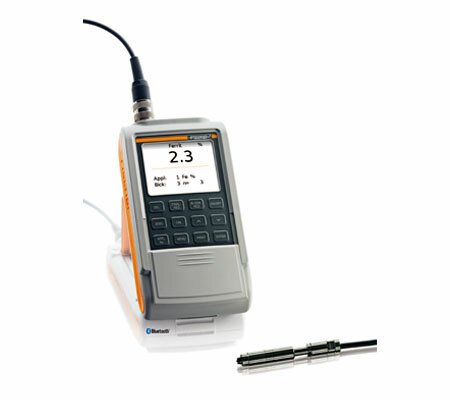 It is equipped with LCD display which shows the readings accurately in no time. This sealing quality test – anotest is designed with utmost precision by our professionals using superb quality material and advance machines. On-site measurements of the sealing of anodic coatings on aluminum, e.g. during building cleaning. 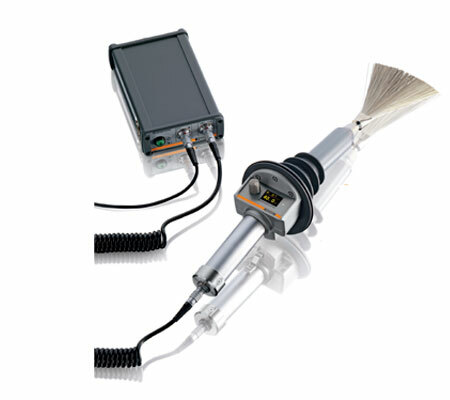 Our electrical conductivity measurement instrument - sigmascope SMP10 is designed with utmost precision to measure the electrical conductivity of metallic conductor accurately and precisely. Our sigmascope SMP10 is also used for assessing hardness and strength of various heat treated materials. Electrical conductivity is a basic material property which gives information about metal's ability for conducting electrical current. Our company has gained immense accolades in designed most precise range of porosity testing instruments. These porosity testing instruments are widely demanded amongst clients of different industries for their fast and accurate performance. These are generally used for checking embedded foreign objects, pores and cracks in coating. These are designed by using sharp edge technology and advance machines. Our porosity testing instrument HV20 found various applications in paint and engineering industries for finding porosity and cracks in the coating which can harm the material on which coating is done. This porosity testing instrument HV20 is available in different specifications and models. It is generally used on agitator kettles, mineral oil tanks, boilers, pipelines and heat exchangers. Furthermore, it is also demanded for food packages which are plastic coated. 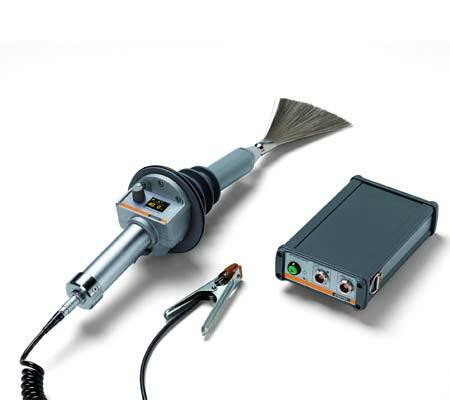 The POROSCOPE allows you to find pores quickly and reliably on coated metals such as e.g. : Enamel- or plastic-coated mineral oil tanks, agitator or kettles, pipelines, boilers and heat exchangers.